It's not every day that a beautiful brand is born. Hand-picked from the secrets of time-tested botanical ingredients that have evolved from pure science and scripted in many ancient texts across the world. 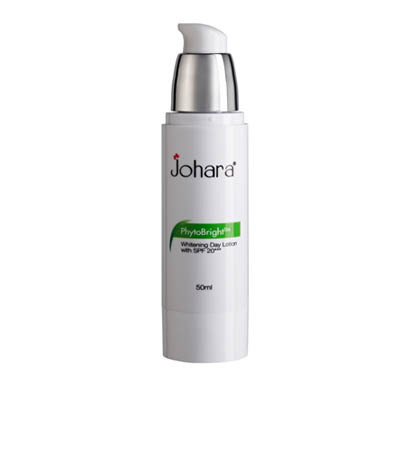 Crafted from years of meticulous research, Johara® is a brand so scientifically driven, the result can only be beauty that is pure and real. Johara or 'jewel' in Arabic is created on the premise that just like jewelry adorns your natural beauty, the Johara® range of products are devoted to beauty and elegance, in both appearance and spirit. Our skin care formulae will always be free of Parabens, Sulfate, Synthetic Dye or Formaldehyde. We will never test on animals. Your happiness is our priority. We understand that skin care is a personal purchase, and that sometimes it simply is not right for you. If you are unhappy with your item for any reason, we will offer a 100% money back guarantee return policy.